In an increasingly competitive global market, winemakers are seeking to increase their sales and wine regions to attract tourists. To achieve these aims, there is a trend towards linking wine marketing with identity. Such an approach seeks to distinguish wine products – whether wine or wine tourism – from their competitors, by focusing on cultural and geographical attributes that contribute to the image and experience. In essence, marketing wine and wine regions has become increasingly about telling stories – engaging and provocative stories which engage consumers and tourists and translate into sales. This timely book examines this phenomena and how it is leading to changes in the wine and tourism industries for the first time. It takes a global approach, drawing on research studies from around the world including old and new world wine regions. The volume is divided into three parts. The first – branding – investigates cases where established regions have sought to strengthen their brands or newer regions are striving to create effective emerging brands. The second – heritage – considers cases where there are strong linkages between cultural heritage and wine marketing. The third section – terroir – explores how a ‘sense of place’ is inherent in winescapes and regional identities and is increasingly being used as a distinctive selling proposition. 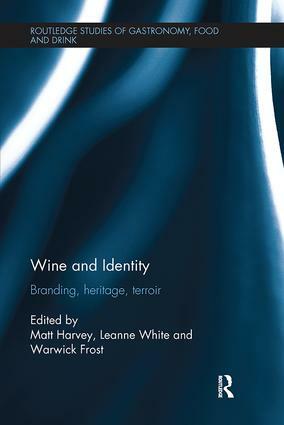 This significant volume showcasing the connections between place, identity, variety and wine will be valuable reading for students, researchers and academics interested in tourism, marketing and wine studies.